Of course the passion for sport felt everywhere in the region is worth mentioning, and a very good example is the World Padel Tour, held in the district between 16 and 24 of March this year. Did you miss it? We’ll tell you all about it! It should be mentioned that this district is the home of Padel tennis, as Alfonso de Hohenlohe built a few courts at his Marbella Club hotel upon returning from Mexico where he fell in love with this sport. Although this sport was not very well known at first, it spread throughout the Costa del Sol and gained a reputation. The boom in recent years only goes to show that it is a spectacle worth seeing, as well as having plenty of health benefits. 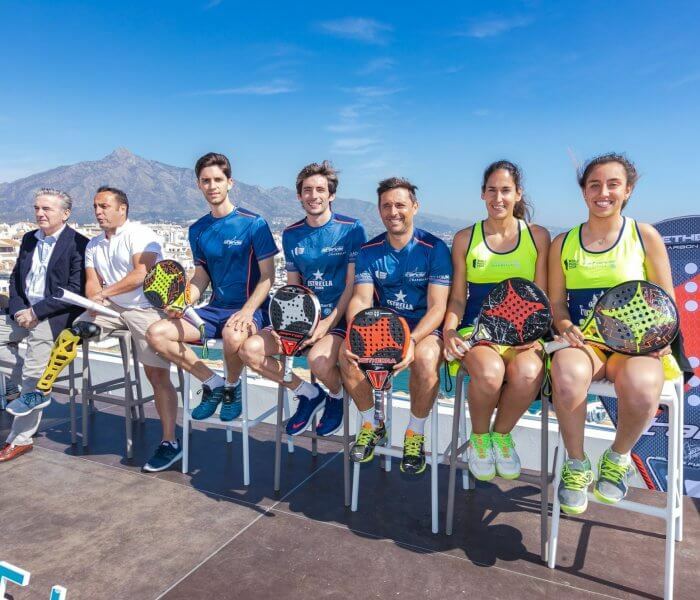 The hosting of the World Padel Tour in Marbella has been a success in terms of the recognition of how this sport has been promoted here; it has become even increasingly attractive for all of Marbella’s residents and fans of this type of sport. Large numbers of visitors were able to enjoy spectacular matches, full of exciting points and some recoveries here and there. Of course we were all left wanting more, but there’s some good new! 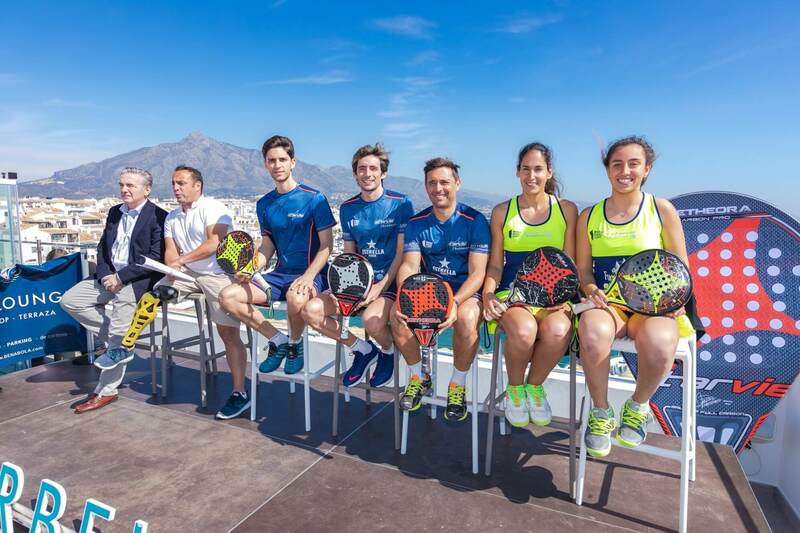 The World Padel Tour will be held in Marbella again in 2020 and 2021, so we’ll be able to enjoy all of the excitement of padel tennis during the coming seasons. At Hotel Benabola we are committed to sport and different events held in the city, so we are very proud that StarVie, a renowned brand in the world of Padel, chose our Sky Lounge for the launch of its new collection of rackets and clothing. Its high quality Spanish made equipment was presented at a pleasant event with unbeatable views. Several celebrities and public figures were present at the event, such as the Mayoress of Marbella, the Councillor for Sport and professional padel players on the StarVie team. Another sporting event that we are looking forward to is Ironman 70.3, which starts in Puerto Banús. The competition will be held in unique surroundings between the sea and the mountains and will pass through several different districts. The region’s climate, which is always mild, will ensure that the weather is great for both the athletes and those viewing the competition. As previously mentioned, at Hotel Benabola we are committed to sport, so we have a special offer for any triathletes and their friends and families who want to stay at our facilities.